In March 2017, Weckhuysen was interviewed by them in the Belgium magazine “MAJA#4” (MAgazine van de Jonge Academie/ Magazine of the young academia). In this interview, he talks about how he experienced the recordings of the lectures of the ‘Universiteit van Nederland’ and his thoughts on how scientists can share their knowledge with the society. Read the full article by Karolien Poels, in MAJA#4 (in Dutch). On April 21, 2017, the lectures were featured in an article on the Dutch news website NU.nl. Every week, NU.nl publishes five videos of the best colleges. 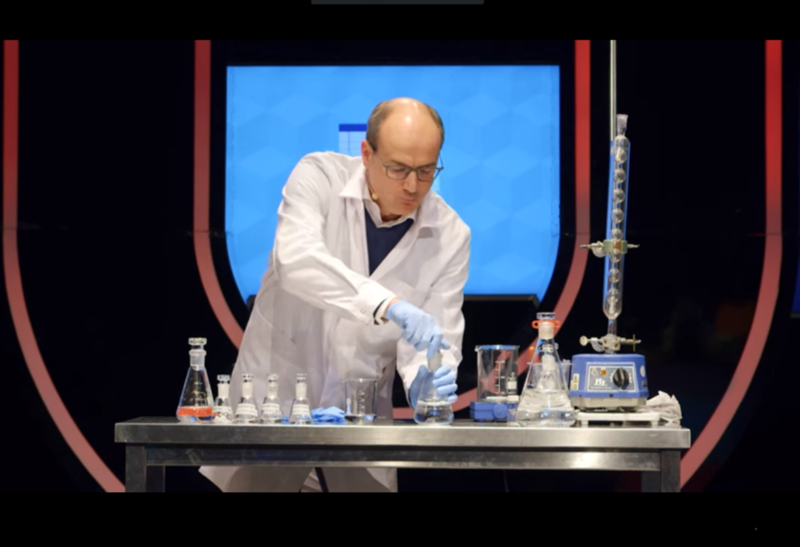 With ~50.000 views, the lecture “Waarom kun je het onderste puntje van je ijshoorntje beter niet opeten?” (“Why is it better not to eat the bottom-tip of an ice cream?”), is number one of the top 5 videos of the last season. Read the full article on NU.nl. In the article entitled “Een wetenschapper biedt opties aan” (“A scientist offers options”), Bert Weckhuysen explains the importance of public-private interactions in order to achieve radical innovation. Weckhuysen: “Science and technology are still underfinanced in the Netherlands, which makes it essential for companies and academia to work better together”. For a government, it is not interesting to invest money in developing a product that has no significant importance for the society yet, while scientists are eager to create prototypes that currently only “speak to the imagination”. Companies, on the other hand, have a clear vision of what they want to achieve or be able to provide in the future. They can provide the financial support that is necessary for researchers to create and bring further their innovative developments. Chemists of the University of Chinese Academy of Sciences, have found a method for the direct conversion of CO2 into gasoline. The conversion of CO2 into gasoline was already possible in three separate catalytic reactions, but the Chinese Chemists now have been able to combine the three catalytic properties in one “multifunctional” catalyst. The results were published by Nature Communications on May 2, 2017. The exhibition investigates, clusters, reinterprets and preserves the most influential and world-changing inventions and research projects that emerged from Utrecht Science Park. Future Observatory offers a subjective and fictional ‘work in progress’ from a future perspective on what could remain from the present to represent the past in the future.